The M2 is simplicity redefined; where beautifully engineered sound meets beautiful design. 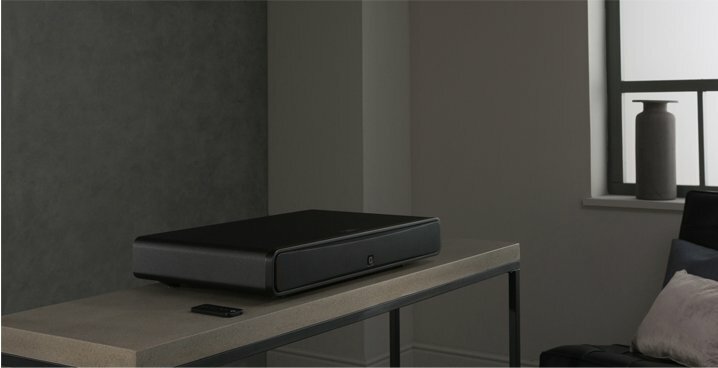 This is an elegantly compact soundbar with a big heart to fill your living room without the clutter of a full Hi-Fi system or even a soundbar with a large external subwoofer. The M2 brings movies to life with a MoviEQ function mode which delivers a truly cinematic home movie experience. 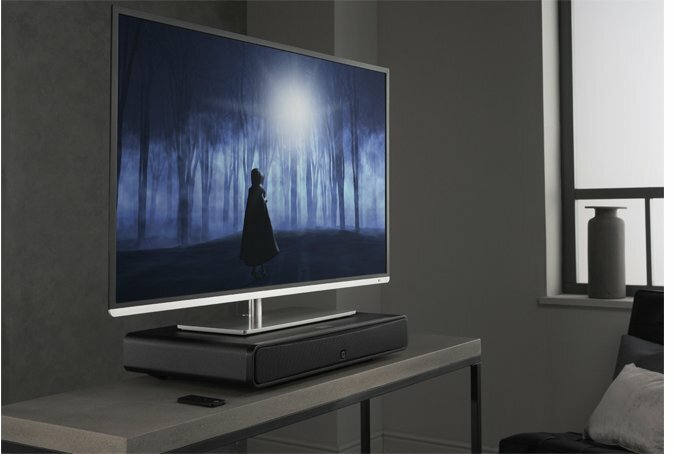 The M2 doubles as an all in one music system for music lovers streaming high quality music via Bluetooth APTX or NFC for Android devices and can be used to support your TV or positioned in a tv cabinet. Complete with HDMI connectivity for simple control through your existing TV remotes, Optical input for Google Chromecast audio (not included) connectivity for multi-room use. Bluetooth® – An international wireless connection used for streaming audio from all compatible devices. IPA™ – Q Acoustic’s Intelligent Pre-Amplifier removes the need for a remote control through a signal sensing matrix to enable auto source selection and auto on/off. MoviEQ™ – Q Acoustic’s Movie EQ helps to maximise the drama and excitement of a movie or TV soundtrack. 3.5mm jack socket for Analogue input. Power Rating – Total continuous power rating of the system in Watts. Eg. BT3 = 2 x 50W = 100W. Dynamic Bass – Improved response, loudness, depth and control of bass frequencies is achieved through our dynamic bass enhancement system, to perfectly integrate our inbuilt DVC subwoofer. Stereo phono socket for Analogue input.